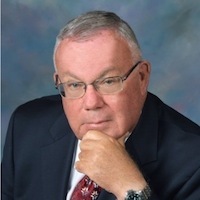 He has served as a consultant to Crain’s Chicago Business (http://www.chicagobusiness.com) and was the primary researcher for the widely acclaimed Crain’s Veterans in the Workplace Focus Section that appeared in the November 3, 2011 edition, in addition to other initiatives for this publication. Paul also is the creator of the concept for a veteran startup support organization in North Carolina called VetStart, which has been recently rebranded as Bunker RDU. Dillon Consulting Services LLC is certified by the U.S. Department of Veterans Affairs as a Service Disabled Veteran-Owned Small Business. Mr. Dillon was the creator of Super Collector Services, the first program of its kind in the United States for the professional collection and resolution of high-level corporate and government debt. For the more than fourteen years, Mr. Dillon served as the supervisor of elections to the national Radio Hall of Fame (http://www.radiohof.org/) at Chicago’s Museum of Broadcast Communications, and for the Chicago Chapter, National Academy of Television Arts and Sciences (http://www.chicagoemmyonline.org) for the Emmy Awards. 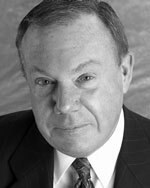 Mr. Dillon had profit/loss responsibility for a major Chicago real estate appraisal and consulting firm, as well as direct management responsibility for the successful completion of important consulting projects, with an aggregate construction value of more than $3 billion. His assignments included the audit of the construction management of the James R. Thompson Center in Chicago for the Illinois Auditor General. Mr. Dillon received his A.B. Degree from John Carroll University (Cleveland, Ohio), a M.S. degree from Northern Illinois University (DeKalb, Illinois), and has completed advanced graduate study in systems management at the University of Southern California, (Ft. Rucker Branch). He was a Visiting Lecturer in Management at the College of Business Administration, University of Illinois at Chicago, and is a Visiting Lecturer and Creator, “Law and Veterans’ Issues: Policy Challenges and Best Practices” Mini-Course, Harris School of Public Policy, University of Chicago. (See Veteran’s Course Material tab for a description of this course). He has served as a trustee of the Chicago School of Professional Psychology (http://www.thechicagoschool.edu), and also has served as a Public Member and Commissioner on the national Commission for Case Manager Certification (http://www.ccmcertification.org), which certifies case managers in the health sciences, social services, and psychological services throughout the United States.